How did the Yukon government fail to foresee the Whistle Bend housing crunch? Instead of actually building more housing to accommodate the incoming flood of workers for Whistle Bend continuing care facility, the Yukon government is doing what governments do best, it’s studying the issue. Thus continuing the time-honoured tradition of governments making paperwork instead of making decisions. The same day news broke that posters had gone up asking current staff to let newbies sleep in their spare rooms, the government issued an expression of interest looking for suggestions on how to increase rental options for continuing care employees. “The lack of available rental housing in Whitehorse is creating challenges to recruiting staff required for our facilities,” reads what is quite possibly the most obvious sentence ever written in a Yukon government document. The expression of interest is to determine “market capacity” and interest in providing rentals. It promises to “gather information on potential solutions” and “obtain recommendations” for what the government might do in the future. It makes no promises to actually act. The tender closes Aug. 3, about two months before the government insists the new continuing care facility is going to be up and running. How is it that we are just having this conversation now? The previous Yukon Party government deserves a slap on the wrist for not making plans to increase housing explicitly part of the deal when it announced the new continuing care facility back in January 2014. When you hire 150 outsiders to come north and work for you, helping them find a place to sleep should be part of the plan. The Liberals have been in the job for nearly two years and had plenty of time to act before now. It’s hard to believe that there aren’t contractors in town who would be willing to build a new apartment complex similar to what the Yukon Hospital Corporation already runs to house staff in the territory for short stays. In order for that to be a reality, this latest tender needed to be about construction, not number crunching. We’ve written often in these pages about the ongoing rental crisis in Whitehorse and its impact on working-class people. The vacancy rate, around 2.8 per cent at last count, has kept rents inflated, while the market, in its infinite wisdom has focused mostly on building single-family homes in Whistle Bend that poor people cannot afford. Now that more than 100 new government employees — all of whom will enjoy generous salaries, union protection and cushy benefits — are flooding a city that is already locked in an ongoing housing crisis, all of a sudden it’s a problem. If only the government had warned the government that Whistle Bend would need workers and that those workers would need somewhere to live. Who could have foreseen such a situation? Perhaps someone at the YG could have opened some filing cabinets and read the Housing Action Plan, released to much fanfare in 2015, which promised to compile market data similar to what the government is trying to collect now. One of its stated goals was to increase the rental stock. We would hope that at least some of the “recommendations” the government is now asking for would be available after three years. The health department is correct that finding qualified medical personnel is a national struggle. Ten years ago the Canadian Nurses Association estimated Canada will be short almost 60,000 full-time equivalent registered nurses by 2022. How does the Yukon government expect to compete with other jurisdictions if it can’t even assure new hires they’ll be able to find a place to live? It’s not as though priority housing for health care workers is a foreign concept to the government. The Hospital Corporation’s Crocus Ridge building in Whitehorse has 24 rooms. Mostly they’re occupied by visiting specialists and surgeons, but newly-hired hospital staff also live there, typically for stays shorter than three months. With some foresight back when Whistle Bend was first announced, or in the years since, the government could have built a facility similar to Crocus Ridge that would have helped bridge the gap for new employees at the continuing care facility. Once those new workers found places of their own, the government could have sold the building to the private sector for market rentals, or turned it over to the Yukon Housing Corporation for subsidized housing. That’s just one option. 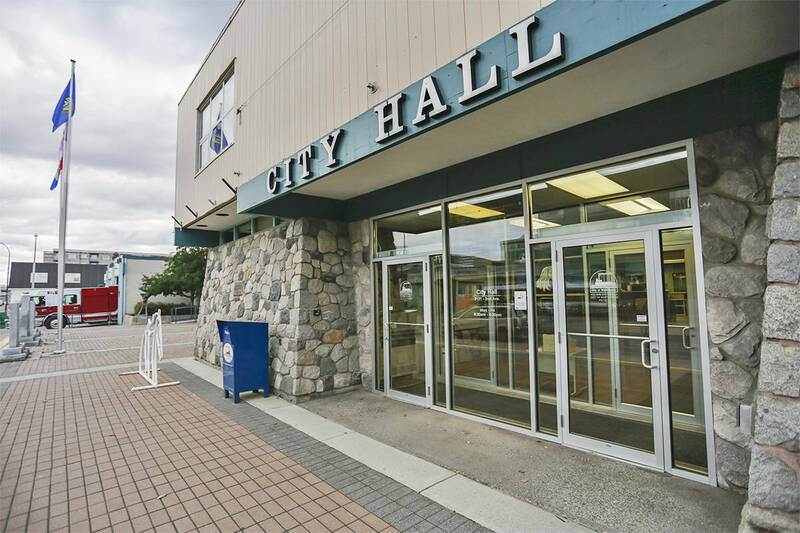 Whitehorse city council will be voting July 23 on a request by a local contractor to change the zoning on land he bought in Whistle Bend so that he can build townhouses instead of an apartment building. Randy Audette says there isn’t demand for that many apartments. That shows he hasn’t tried to rent an apartment lately. Audette says if the city doesn’t give him the zoning change he wants, he’ll “have to” lay off staff. That’s hostage-taking. City staff have said they are vehemently opposed to Audette’s request and they are right to do so. We hope city council doesn’t cave to Audette’s shameless demands. But the city could also help encourage people to live in Whistle Bend by finally extending regular bus service with at least 30-minute frequency to downtown. That service is a vital part of making the neighbourhood sustainable and not just another cookie-cutter suburb. The city should also explore incentives to coax badly-need commercial development to the neighbourhood. The recent work on building a town square at Whistle Bend is another important step in that regard. There have been numerous mistakes made in Whistle Bend both by the territorial and municipal governments. But it’s too late to go back. The neighbourhood has to work now. The influx of continuing care centre staff could have been an opportunity to attract the amenities that are needed to make Whistle Bend a full-fledged community. Too bad the government missed the boat.